How important is adding a picture to a couple's wedding registry? 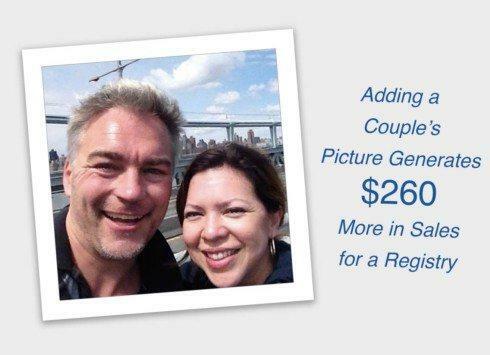 Bridge researched this and found that registries with a couple's picture generated $260 more in sales than those without a picture--a 21% sales boost. 1. If a registry has a picture of the couple/registrant, the average purchase was $13 more--a 9% sales boost. 2. The total purchases for a registry with a picture were $260 more. Average gift purchase on a registry with a recipient’s picture: $152. Average gift purchase without picture: $139. 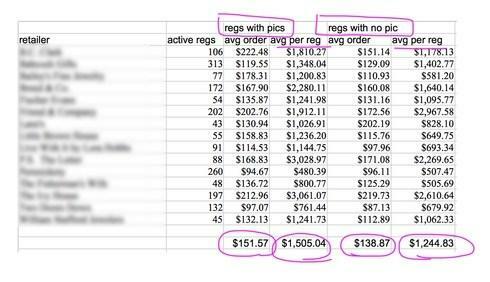 Total average gift purchases for registry with a recipient’s picture: $1,505. Total average gift purchases for registry without picture: $1,245. Survey base: 1,883 registries that occurred in 2017 and 2018 at 15 U.S.-based indie retailers.